"YOU'RE GOOD! LIKE REALLY, REALLY GOOD!" Michael is an award winning entertainer and one of the most sought after performers in Canada today. Forget the traditional magic or mentalism show, Michael amazes the audience with an exciting assortment of mind-blowing mental feats, influence, laugh-out-loud moments and charming style. With over 20 years of experience Michael is no stranger to the stage; he has been featured at performance theatres, corporate events and festivals all over Canada. Bourada’s interest in entertainment started while he was young and truly blossomed while he was a teenager. He performed anywhere he could, being featured at fairs, parties – even the streets. Michael’s passion developed into a full time profession and his show grew to become bigger, more impressive and play for larger sized audiences. When he was 19 Michael was offered a unique chance to travel nationwide with his show and he became one of the youngest entertainers in Canada to have their own touring production. Flash-forward to today, Michael presents exclusive and thrilling mentalism that capture the imagination and dazzle the mind. Offering unparalleled professionalism, Michael has entertained celebrities like singer/songwriter Carrie Underwood, who after seeing him perform said, “Wow! That was amazing!” and Patrick Chan, World Figure Skating Champion, who said, “You’re good! Like REALLY REALLY good!”. For all his hard work he was nominated for a prestigious award, ‘Canadian Entertainer of the Year’ by CSE (Canadian Special Events Assoc. ), this is directly due the quality and quantity of shows he presented for corporate events and upscale venues in Canada. Additionally he was recently named Faces Magazine ‘Entertainer of the Year’. Michael is 35 years old, married, a father of two and performs full-time averaging about 200 shows annually presenting at corporate events, trade shows, colleges and theatres throughout North America. In a world where a lot of people are the same, Michael’s presentation is unmatched. 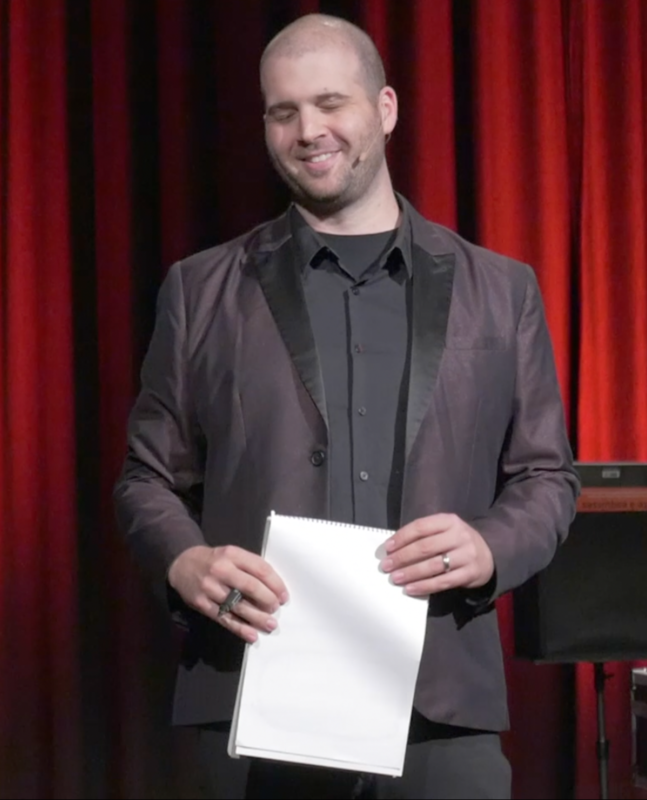 He performs unique and original mentalism and presentations sure to capture the minds of your guests. Michael understands the landscape of the corporate and special event world. Having a clean, and presentation for your group is always guaranteed. There is no vulgar or ‘inappropriate’ material used. Make it Memorable! Make it Michael!